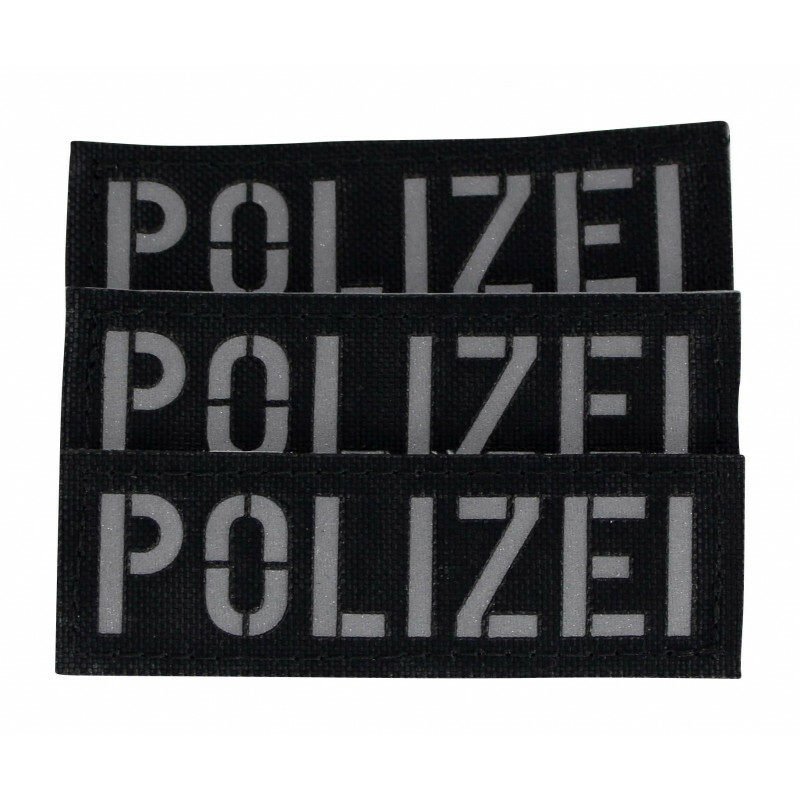 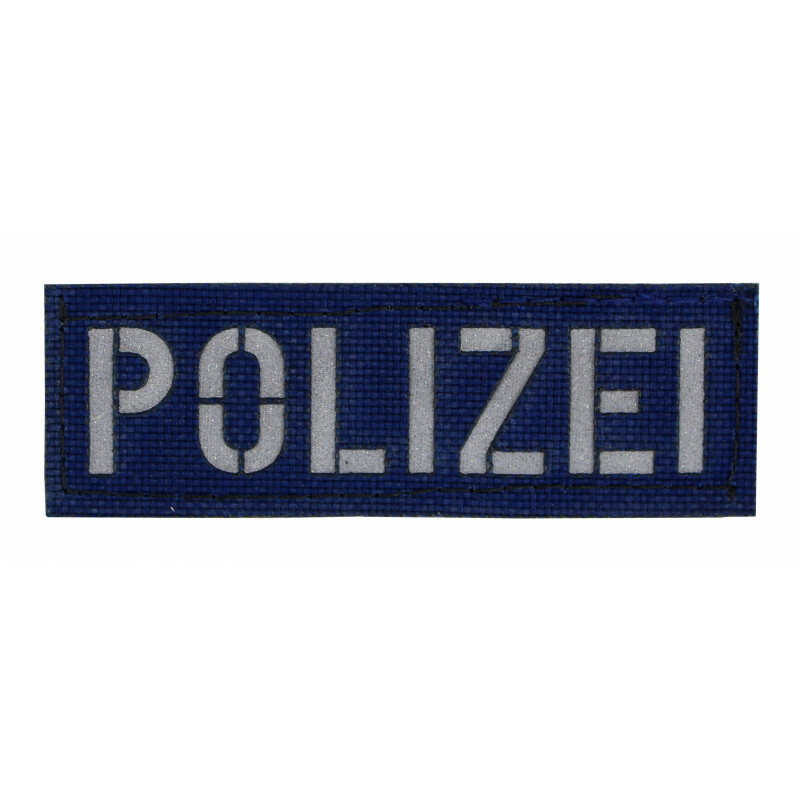 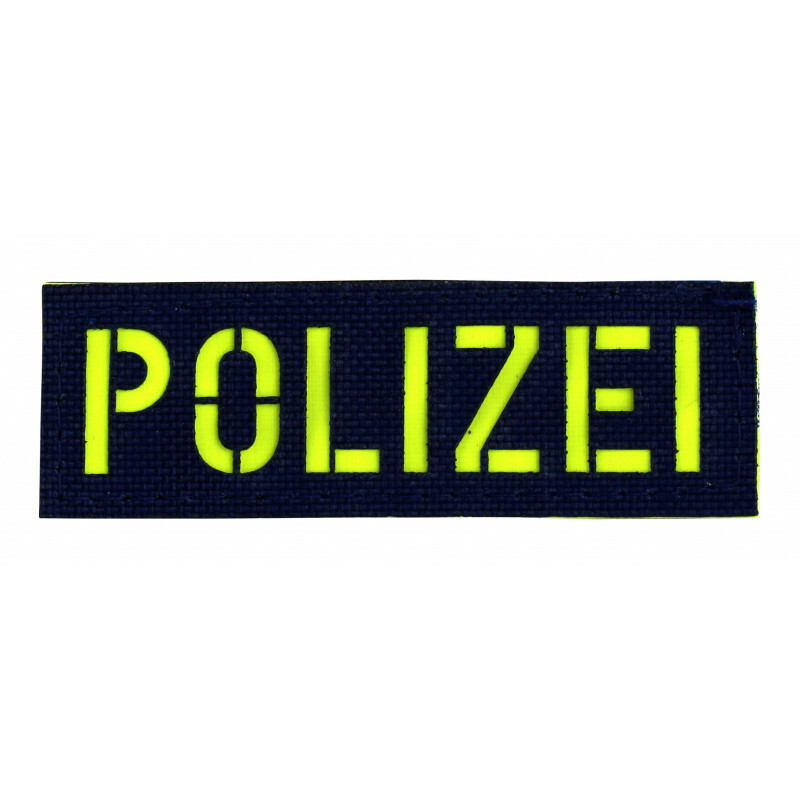 This Cordura® patch is labeled "POLICE" and backgrounded with reflex material. 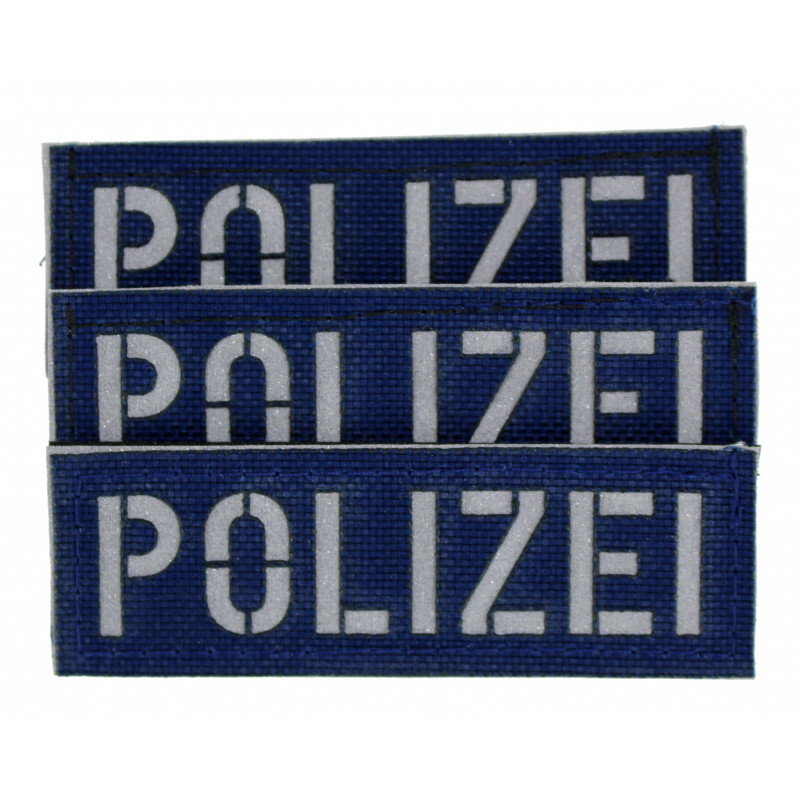 We can deliver it in all languages with latin letters like „POLIZIA“, „POLITI“, „POLISEN“, „POLICIE“, „POLIISI“, „POLICIJA“ and many more. 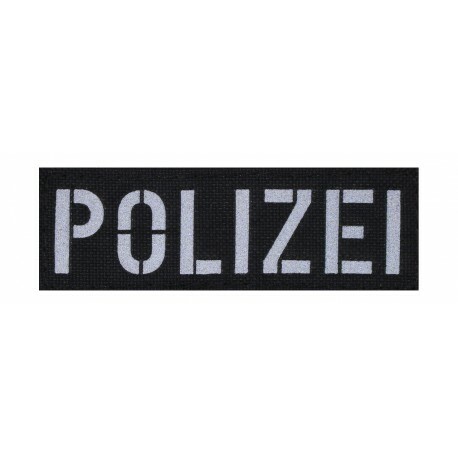 The font is reflected, when it is illuminated. 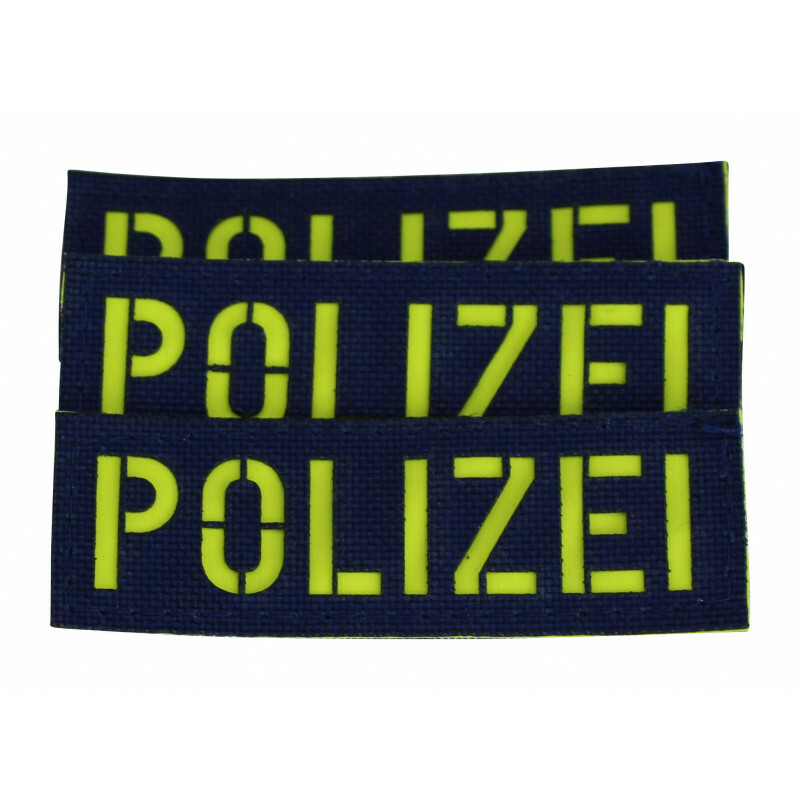 The POLICE patch small can be attached to all multipurpose bags and backpacks with a fleece surface..